As I mentioned at our last all-College retreat, my administration is contemplating ways to render more efficient and meaningful student evaluations. There are many ways to measure faculty effectiveness; enrollments and their correlation to the cost of the course to the college, student statements about specific faculty, law suits by disgruntled parents, and even police reports in the local paper concerning recent events covered at an executive session with the provost last month. What is clear is that the traditional end of semester paper evaluation is from an era long gone. The forms are problematic on several levels. First, the college is moving away from paper for reasons of sustainability and efficiency. Second, we are asking the students to synthesize and analyze 16 weeks of class into a single statement. All of the data shows that the average 18 year old is neither interested nor equipped to do this sort of long-term reflection. We also believe that our students have the right to have their voices heard with greater immediacy and frequency. The Facebook-generation does not wait 16 weeks to make their voices heard. Therefore, Willard College will soon be transitioning to a system that is up-to-date, timely, efficient, and will give us a more holistic picture of faculty performance. Our newly appointed Vice President for Faculty Development and Evaluation, Dr. Horacio Eichmann, will overhaul the old evaluation system and revolutionize our credit delivery system. I have authorized Dr. Eichmann to take whatever steps necessary quickly execute these changes throughout campus. Ratemyprofessor.com is a website where college students post anonymous assessments of their professors using four categories: Overall Quality, Helpfulness, Clarity, and Easiness. Beyond the quantitative rubric, students are invited to post qualitative statements. This technology is open sourced and there is no cost to Willard College. The use of ratemyprofessor.com has the benefit of immediacy. A student can leave class and immediately post a review to the website. Ideally, students would post ratings from their laptop during class. Unfortunately, many Willard faculty continue to forbid lap tops or other electronic devices in the classroom. Dr. Eichmann will be addressing this bottleneck in the coming weeks. At present, we are uncertain how to assess ratemyprofessors’ fifth category of “Hotness.” The existence of this category, however, suggests that the old model of the frumpy, fatigued, and poorly dressed faculty simply does not reflect the Willard brand. Moreover, it runs counter to the media-rich environment that young people experience on an hourly basis throughout their lives. As education moves closer into alignment with mass media, entertainment, and digitalia, we must be sensitive to the appearance of our content providers. The second technological adaptation is clickers. Across the United States, professors have begun to employ clickers as way to quiz large classes during the instruction time. The answers are instantly tabulated and feed directly into the instructor’s grade-book. The Office for Assessment of Assessment Measures, which as you will recall was created three months prior to the Office of the Vice President for Faculty Development and Evaluation, is assessing if clickers can be used to also provide minute by minute evaluation of instruction. Clicker feedback could be graphed out to show how content providers are performing, not during the course of a semester, but over the course of fifty minutes. Faculty would receive at the end of each instruction day, a print out of each student’s assessment, and the average and mean assessments of the entire class. They would also receive a six page analysis of how their performance compares with all of the previous days’ assessments, and also compared with all faculty on campus, as well as faculty at other participating institutions. Shortening the time between content-delivery and student assessment can only be implemented by flexibilizing credit hour allocation. Starting this fall, Willard College will be the first college to introduce the .25 credit course. Where the typical college student takes 120 credits, or 40 or so courses, Willard students will take between 80-160 courses. Most classes will only last two weeks. Students can construct a curriculum, and even self-designed majors, from more flexible instructional blocks. 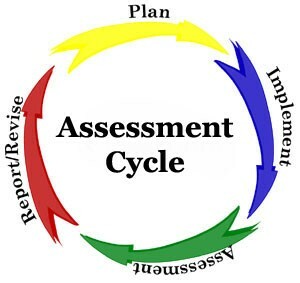 The changes outlined above will to insure that my administration has a thick and rich flow of faculty assessment data which we can apply to the ongoing departmental assessment process. And rest assured, as the college continues to restructure, we will be mindful to continue to build the administrative apparatus necessary to analyze and apply this data.